I just wanted to thank you for our honesty. Your writing has really helped me and I just wanted to let you know that I’m really glad we met. It’s a bit paraphrased, but this is what I can remember hearing through my haze of dumbstruck awe. And tears. I have never had anyone thank me or validate me (besides my family) for my writing before. Not only that, but she was a complete stranger. Someone who is under no obligation to care or pay attention to anything I do. And to top it off, she is a warm and remarkably lovely person. I feel forever indebted to her for the heartfelt exchange we had. Sure John Acuff was entertaining and endearing. Scott Stratten was cute and funny, but they had nothing on Barbara’s words. Aside from a handful of wonderful new friends, my entire Blissdom experience was made on this brief exchange on the last night of the conference. 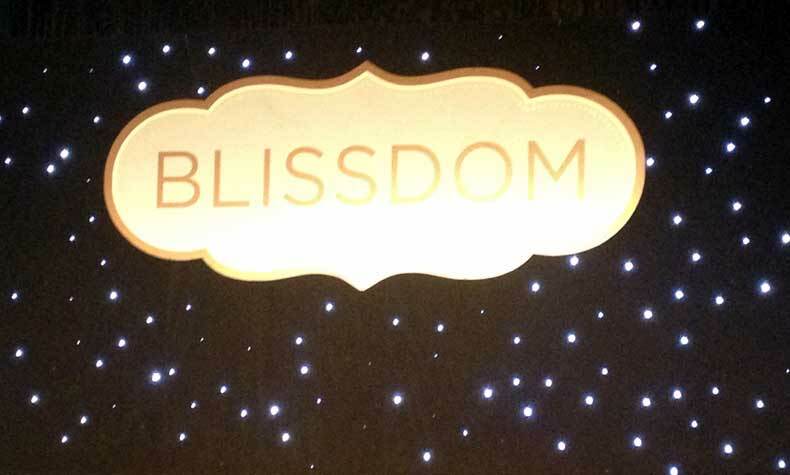 So, I guess my takeaway from Blissdom is that you matter. And your authenticity and honesty really can make a difference to someone somewhere. And if you are lucky, like me, you get to meet that someone. And their generosity of spirit will move you to continue on the path to making a difference to other people through your words. Thank you so much, Barbara. From the very bottom of my heart. You moved me at a time when my faith in myself and my abilities have been shaken. I needed it so much. Meeting you was such an honor.